Kris Jenner has fuelled her daughters pregnancy rumours even further after dropping a major hint this weekend. 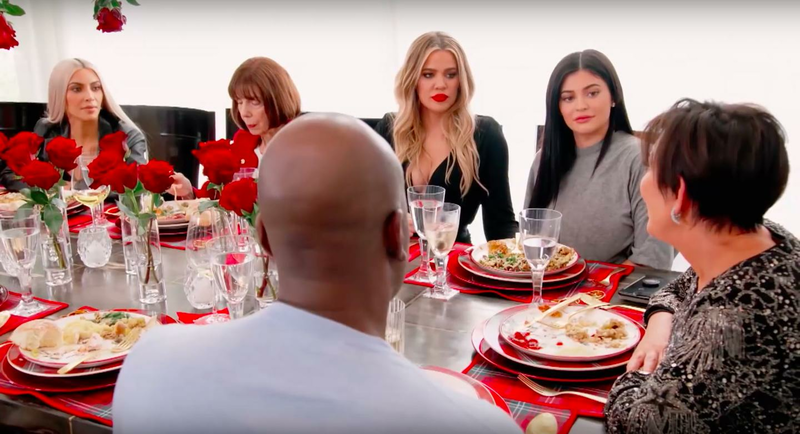 During the Christmas special of 'Keeping Up With the Kardashians', the matriarch appeared to reference Kylie and Khloe's rumoured pregnancies after Kim mentioned the upcoming birth of her third child. A teary-eyed Kris referred to her daughters fertility as a tap that can’t be turned off during an emotional speech at dinner. "I used to pray that one of you guys would have a baby," she said, "And now it's like a faucet that that we turned on and it won't turn off." "The fact that I have all these grandchildren - it's been the most amazing journey to watch your kids [have kids]." "It's truly the meaning of life," she added. Kylie, 20, is allegedly pregnant with her first child with rapper Travis Scott, while Khloe, 33, is said to be expecting her first child with NBA player boyfriend Tristan Thompson. The revelation comes days after Kris, 62, appeared to confirm that there are three new Kardashian babies on the way after buying nine sets of children's pyjamas – despite only having six grandchildren. Both Kylie and Khloe are yet to confirm their suspected pregnancies. The half-sisters are rumoured to be unveiling their baby bumps on the front of the annual family Christmas card, while other rumours suggest that the announcement will be made during the show's half season finale.